Comprehensive review of Premama Wellness Prenatal Drink Mix. 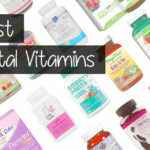 See what real experts and actual users have to say about this prenatal vitamin. I had never seen a prenatal vitamin that you drink before using this one, so I was really intrigued by Premama Wellness Prenatal Drink Mix. It also states in the full name of the vitamin that it includes DHA, and I personally love prenatal vitamins that include that! After actually using the product, however, I found it to be completely horrible and a waste of time. For that reason, I gave it 1 out of 5 stars after trying it out, and honestly, I wish I could rate it lower. While I do enjoy the innovation of making the prenatal vitamin a drink mix, I found that it was more time consuming to take than swallowing a pill or chewing up a tablet. I also found the taste to be really sour and unenjoyable to drink, which made me want to drink it quickly, which made me feel sick. Ugh. Despite the dislike in actually using the Prenatal Drink Mix, the ingredient list is a mess. It does include a few ingredients at the correct amount, but for the most part, the vitamins and ingredients it does contain aren’t nearly enough, and it leaves an insane amount of vitamins off the ingredient list. There is also confusion between whether it contains Folate or Folic Acid, which is a problem for me. Overall, I think this is a terrible prenatal vitamin and almost any other choice on the market would be better suited for you and your baby. I’m a little torn on the ease of use when it comes to Premama Wellness Prenatal Drink Mix. On one hand, as someone who drinks a lot of water, I found it really easy to drink a 12 ounce glass of water for my prenatal vitamin. And it really is as simple as dumping the packet into a cup, and filling it up with 12 ounces of water. You can also drink it with a meal, or in between meals. On the other hand, however, I didn’t think it made sense for me to sip this drink throughout the day, so I drank it in one sitting before eating breakfast. Drinking a big glass of water like that made me feel so full and a little sick, and I wasn’t hungry for breakfast afterwards. So while I love the aspect of getting more water in, and it’s super easy to make the actual drink, I think you have to take time to drink this throughout the morning or you may feel super full and uncomfortable for the next hour or so. 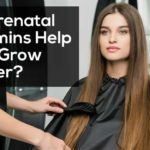 That makes it a bit more time consuming, and therefore slightly more difficult to use, than other prenatal vitamins out there. I’m not a huge fan of the taste of Premama Wellness Prenatal Drink Mix. To me, it tastes like watered down orange juice—but the orange flavor is super sour. This actually made the sides of my mouth ache because of how sour it is. So if you love sour tastes, you might love this! It just wasn’t for me. I would actually compare the taste, and even the gritty feeling of the drink itself, to Emergen-C. So if you like the taste and feel of that drink, you’re golden! If not, you may need to look for something else. I was super excited to try a prenatal vitamin that was a drink, so I went into taking Premama Wellness Prenatal Drink Mix with a lot of excitement. After analyzing the ingredients, I found that I’m extremely disappointed with the ingredients, or lack thereof. I’ll start off with the few positives. Right off the bat, I love that it contains DHA. I personally enjoy having that in my prenatal vitamin versus taking it as an extra supplement, so that’s a major bonus, especially since a lot of prenatals don’t include DHA. Some of the other high points with this prenatal vitamin are that they contain a great amount of Vitamin D, Riboflavin-B2, Pyridoxine-B6, Vitamin B12, Biotin, and Copper. Lately, I’ve been noticing Copper popping up in a lot more prenatal vitamins, and I think it’s great! Copper is essential for forming red blood cells, which is huge when you’re pregnant since your blood supply doubles. It also helps form your baby’s heart, blood vessels, and skeletal and nervous systems, so the presence of this ingredient is awesome! On the flip side, these prenatals only contain 25% of the recommended daily amount (RDA) of Vitamin C, only 5% of the RDA for Choline, 8% RDA for Calcium, 9% RDA of Iron, and are low in Zinc, as well. I don’t even know where to begin with this. Not only are they low in these essential vitamins, but they’re extremely low. On top of being low in those ingredients, this prenatal vitamin is also completely missing Vitamin A, Thiamin-B1, Niacin-B3, Vitamin E, Vitamin K, and Iodine. Basically, Premama Wellness Prenatal Drink Mix is a total disaster and barely does anything to help you or your baby during pregnancy. I’m also super confused as to whether Premama Wellness Prenatal Drink Mix contains Folate or Folic Acid. It lists Folate as the ingredient, but under dosing, it says (800mcg Folic Acid). Some women need Folate versus Folic Acid, or just prefer one over the other, so you may want to talk to your OB or reach out to the company directly if you need that info. It does contain the proper amount of Folic Acid, which is nice, but I don’t think the ingredients should be that hard to decipher. Overall, I am so deeply unimpressed with this prenatal and think it’s a complete waste of time to be drinking. When I drank the entire drink in one sitting, I felt a little sick to my stomach and lost my appetite for breakfast. But I think that was mostly due to drinking such a large glass of water so quickly. Other than that, I didn’t experience any negative side effects while I was taking Premama Wellness Prenatal Drink Mix, so that’s a positive! Priced at $25 for a 28-day supply, this happens to be on the more expensive end of the spectrum as far as price range goes for a prenatal. Given the fact that you can’t return a product you’ve used to Premama Wellness, I’m hesitant to say this is a good value right off the bat. I don’t think you should ever be without choices for returning products, but especially when they aren’t cheap. However, given the fact that this is a horrible prenatal vitamin, this makes the price ridiculous and absolutely not worth the money or price they want you to pay for it. Premama Wellness has a horrible return policy. You have 30 days to return the product for a full refund or exchange, but the product has to be in new, unused condition. How the heck is someone supposed to know if they like the product without trying it? I’m super unimpressed with this return policy. 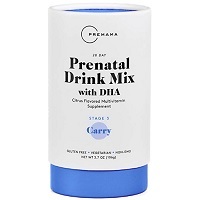 To buy Premama Wellness Prenatal Drink Mix, click here. Ease of Use Mix one packet with 12 ounces of water once daily. Easy to make drink but more time consuming to drink. Ingredients Missing a ton of essential vitamins, and does not contain the RDA for most of the ingredients it actually contains. Total disaster of an ingredient list. Side Effects Felt full and sick from drinking large glass of water, but no other side effects.